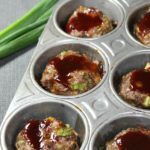 This 30-minute Mini BBQ Meatloaf recipe is the perfect crowd pleasing appetizer or easy dinner for your family. I like meatloaf, but after I started crafting this delicious recipe, I now absolutely love meatloaf. The shallot and green onions make this meatloaf top notch and I am so excited to share it with you!! It’s been a long time coming..honestly! This is was my third attempt at getting quality photos for these mini loaves. I’m a bit of a perfectionist when it comes to taking photos. The first try, I had beautiful photos but I didn’t wipe away the cooking spray bubbles from the muffin cups. It was distracting from the food. The second time, I was so hungry that I quickly took the “after” shots and devoured the meat loaves. Finally, I took time to really get it right (while my stomach was growling). 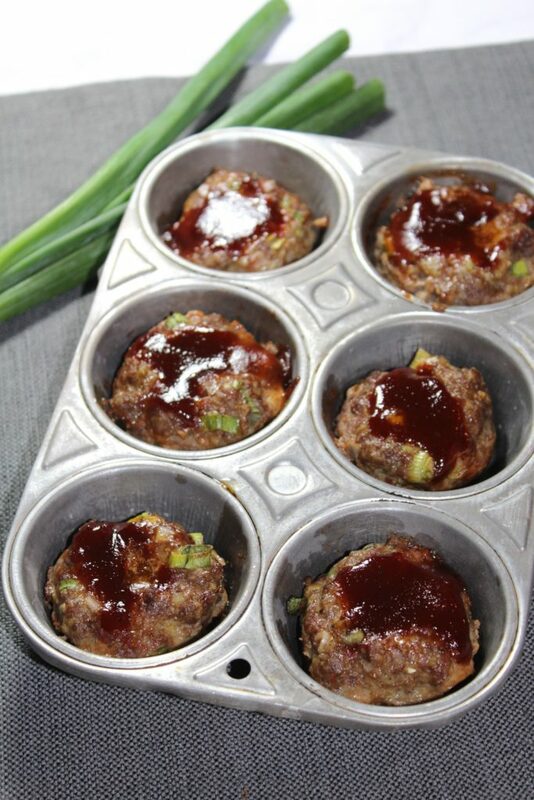 Traditional meatloaf has ground beef as the main meat source. However, this meatloaf includes half turkey sausage and half lean ground beef. 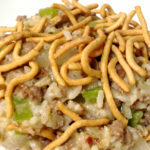 When it is paired with the chopped shallot, green onions and spices it makes for a crazy good taste and texture. 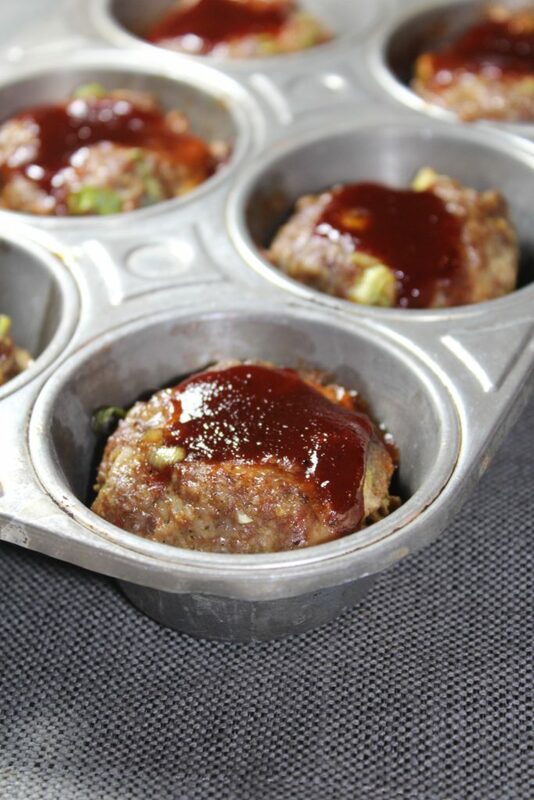 I can’t even describe how flavorful these Mini BBQ Meat Loaves were. I had them for leftovers the next day. 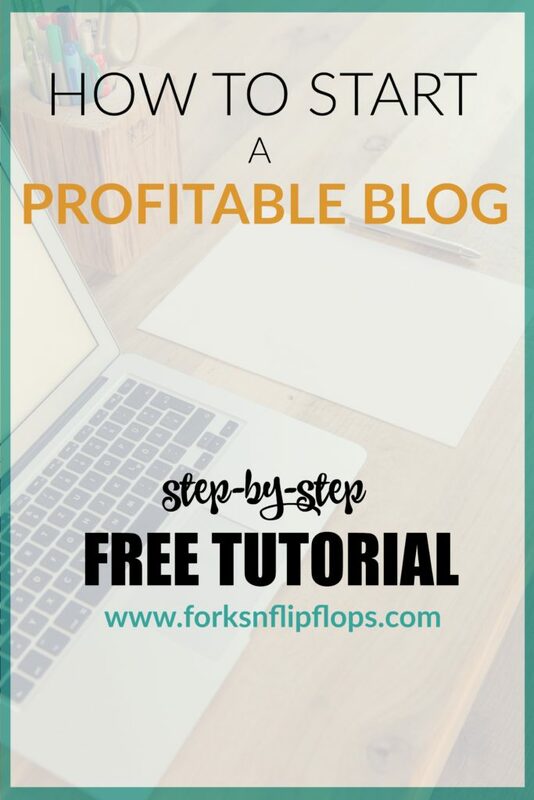 They are so easy to make, that they make the perfect appetizers if you double or triple the recipe. 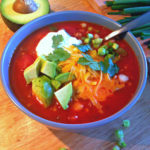 I would love to hear your thoughts on this recipe? 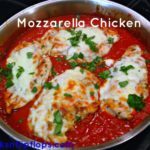 More Dinner Recipes To Try! Coat 8 muffin cups with cooking spray. 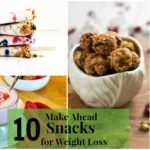 In a large bowl, combine turkey sausage, ground beef, egg, panko breadcrumbs, green onions, garlic powder, worcestershire sauce and chopped shallot. With your hands, mix the ingredients together until combined. With your hands, form 2-inch round balls and place in muffin cups. 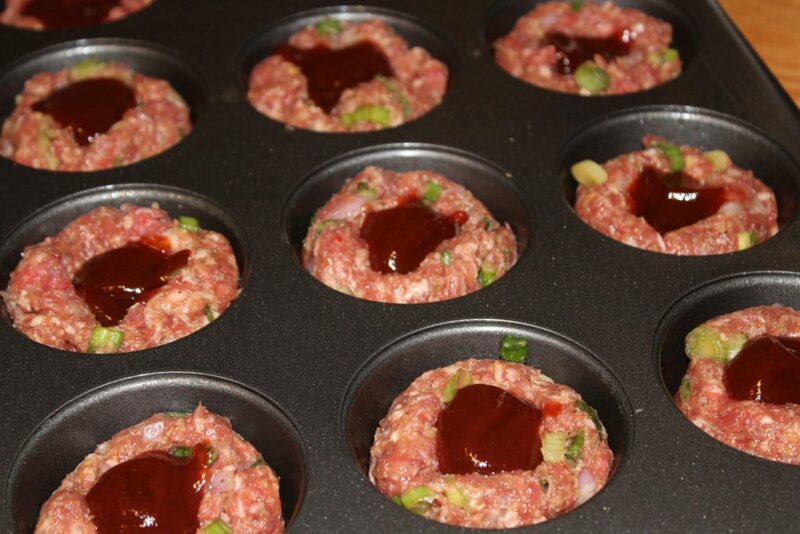 Make a 1/2 inch indentation with your finger or spoon in the center of each meat loaf. 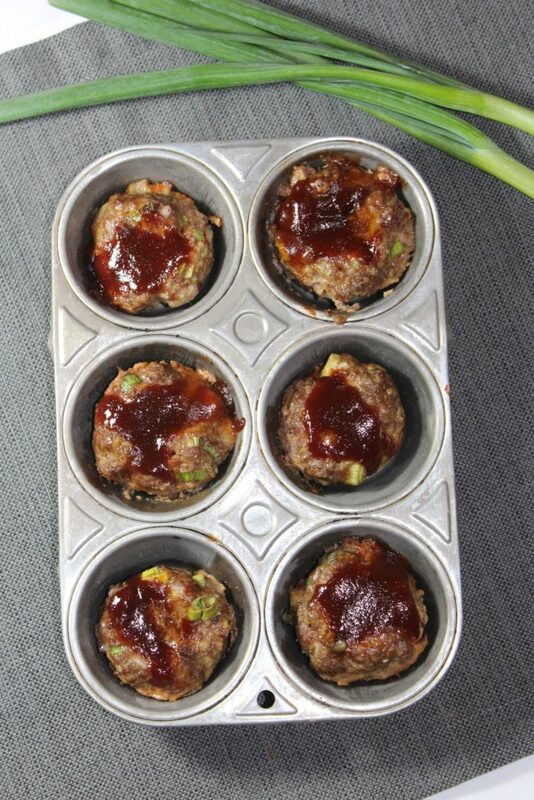 Add two teaspoons of barbecue sauce into the center of each. Bake 30 minutes or until thermometer reads 160 degrees F.